All good things must come to an end. For Kenshin Himura, it’s the conclusive battle between him and his successor, Makoto Shishio. 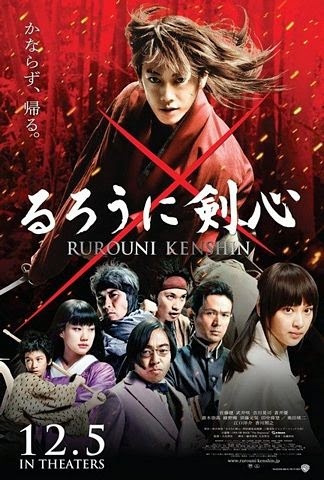 But for the fans of the Rurouni Kenshin, The Legend Ends represents an end of an era. Obviously, everyone knows that the series will end with a one-on-one battle between Kenshin and Shishio, but the twists leading up to the inevitable showdown is not at all predictable. There are unforeseen turns and seemingly insurmountable obstacles, but this is where the majority of the fun takes place. The Legend Ends provides genuine tension to go along with the breathtaking fight sequences, leaving audiences perpetually on the edge. And speaking of those fight sequences, they truly are jaw-dropping. Instead of the one-versus-all fights in the previous movies, this one wisely focuses on single combat sequences that are lengthy, complex and utterly dazzling. Though I find it lacking that Kenshin’s allies Kaoru Kamiya and Megumi Takani are given very little to do throughout most of the film, it is rather satisfying that Sanosuke Sagara is given a refreshingly humorous fight scene towards the film’s latter half. However, the portrayal of Sagara's character was less than perfect but perhaps appropriate to avoid overpowering and adding to the heavy drama acting of the main characters. The film needed comic relief as it had been in the manga. The Rurouni Kenshin trilogy is cinematic adaptation done right. And while it is far from perfect, the film is the spirit of the original manga and anime brought to life. For those who have grown up alongside Kenshin and his friends, The Legend Ends is the closest thing fans will get to a real life farewell. Japanese movies have always impressed me since I saw Rashomon—a classic film that confused me and caused me to ask questions. This doesn't cause me to ask confusing questions but implanted a huge respect for Japanese culture and art. For those like me who are not avid fans but would like to see action well blended with good special effects, this is one of those you'll truly appreciate even if you have no idea about the past episodes or even the manga. This one will keep you at the edge of your comfortable seat thirty to forty percent of the time. You can easily get carried away with the fight scenes because editing and cinematography are well done, impressive in fact. It is not easy to find a film nowadays that is built and created with compassion for the craft. For that, I give the makers of this film 4 bright stars!